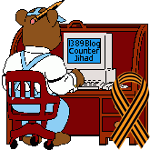 2013 August — 1389 Blog - Counterjihad! #Caturday: Why do cats purr? Michelle Malkin on the showdown with Syria – and the rank hypocrisy of Biden, Kerry, et. al. Abbot Tryphon: Why are we siding with the enemy?